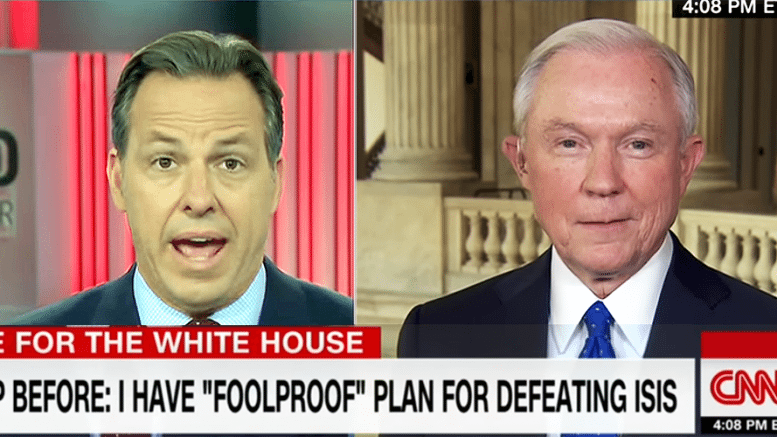 Jake Tapper is showing the desperation of the Clinton campaign as he tries his best to diminish Donald Trump in this interview with Senator Jeff Sessions. He attempts to depict Trump as a liar, something he would never do with the actual pathological liars Obama and Clinton, because he’s not being specific, announcing targets, dates and times in the war on ISIS. Tapper pretends things are going great, that the world’s greatest superpower is hopelessly outmatched by a bunch of desert thugs. Tapper, who would likely be beaten by any woman presently being held captive by ISIS with one hand tied behind her back, makes it a point to sarcastically reference the anonymous generals that Trump has criticized previously as not knowing much. Maybe it’s worse than that, Tapper. Maybe they know plenty but they’re cowards who value their careers more than their nation. Maybe that is why they sit silently as an Islamic imposter destroys their country. Whatever the reason, the war is being lost and it could easily be being won. Follow further explanations, the dim-witted attack puppy says, “I guess I’m to gather from that he didn’t actually have a plan in 2015? Sessions isn’t going to play the stupid games this hack is attempting to use against him and calls him directly on it. Sessions says, “You’re having fun with this argument okay? 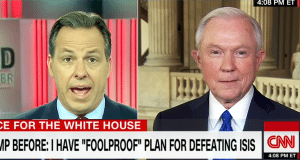 You can keep talking about it but the American people are concerned about what we’re going to do.” Sessions explains once again but Tapper isn’t listening, he’s just waiting to unless his next volley of unprofessional nastiness. Tapper then claims to not be having fun with it, but it’s obvious what he’s doing. He’s playing dumb, he can’t possibly be that stupid. The key word in Senator Sessions’ remarks was unleashed. That covers it. The video cuts off while Tapper is talking, an excellent and appropriate end to his nonsense. 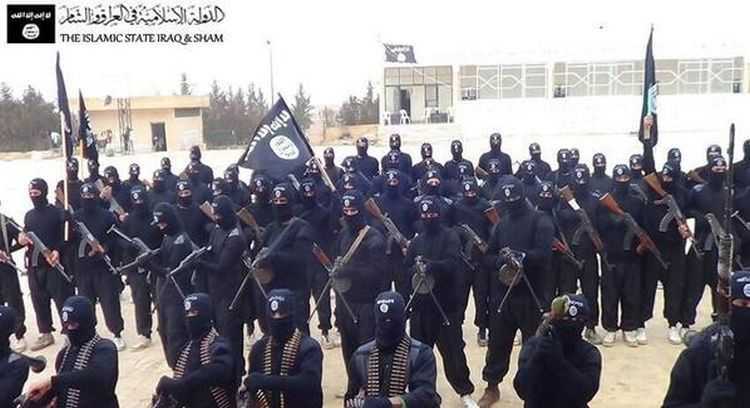 (URGENT VIDEO) US College Dean Encourages Starting ISIS Training Camps for Students!! !